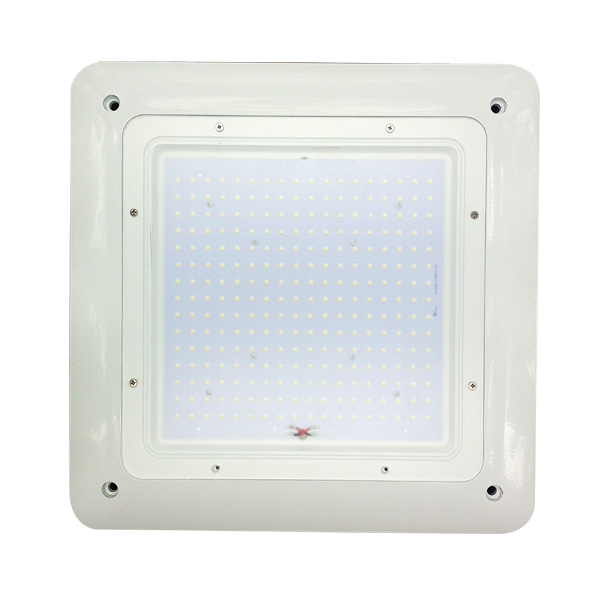 FLD-CNL-Series luminaires consume very little energy and provide long life in comparison to traditional lamp technologies. Our manufacturing process utilizes no hazardous substances such as mercury or lead. The FLD-CNL-Series is RoHS (Restriction of Hazardous Substances) compliant, 100% recyclable, and provides a significant reduction in Kw load and carbon emissions. 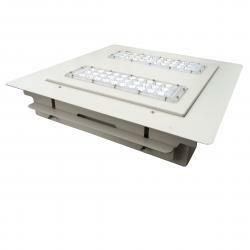 The FLD-CNL-60005 series can be installed and wired by a single person, the base plate easily attaches to a 3” or 4” J-box, and the fixture housing is attached to the base plate by four captive fasteners. 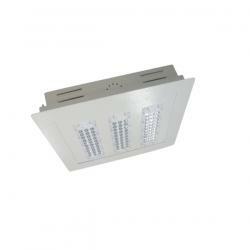 The FLD-CNL-60005 can be surface mounted to a recessed J-box or pendant mounted using a standard ½” threaded downrod . 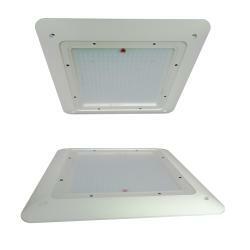 The FLD-CNL- Series is arecessed canopy luminaire suitable for new work or retrofits. The reliability and performance of the FLD-CNL-60005 is evaluated in accordance with the parameters outlined and reported by LM-79 and LM-80 documents. 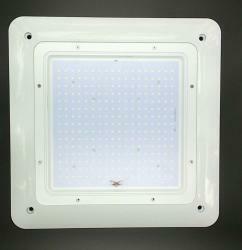 Photometric data is tested to IESNA LM-79-08 standard by an independent testing laboratory. 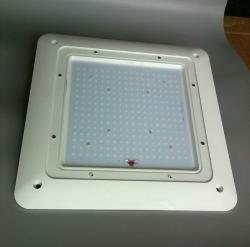 Lumen maintenance, L70 a measure of long term reliability, is determined for the light source, which consists of the LED and PSB sub-assembly as installed in the luminaire, is determined using LM-80 in situ thermal and reliabilitydata as provided by the LED manufacturer in accordance with DOE/EPA standards. 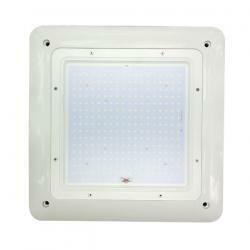 The FLD-CNL-120W is DLC certified , is IP67 rated. 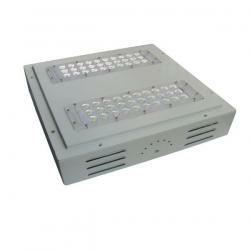 The FLD-CNL-120W series features a 5 year warranty.